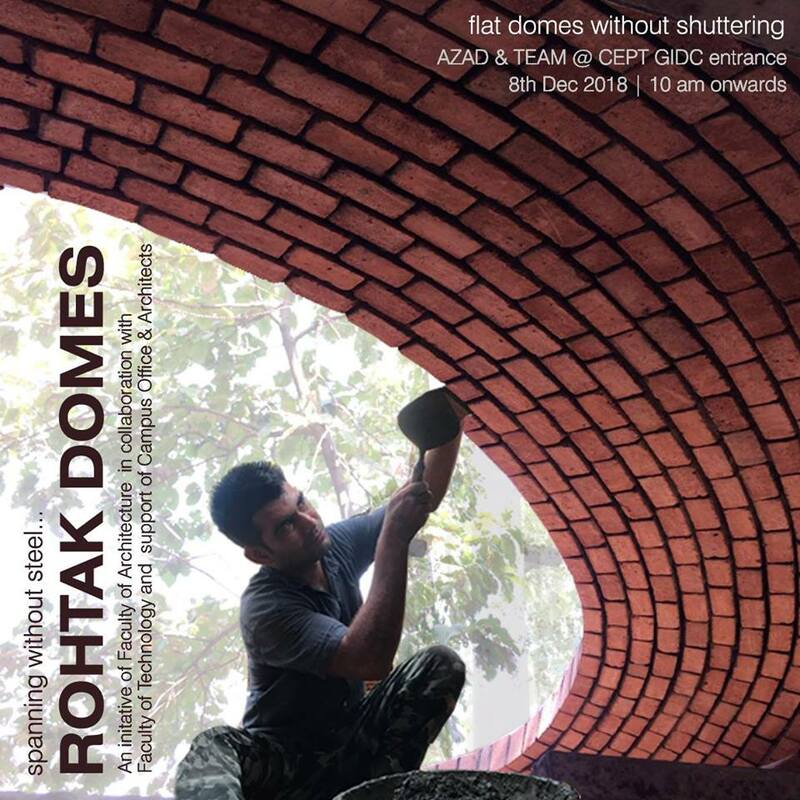 ROHTAK DOMES is an initiative by Faculty of Architecture in collaboration with Faculty of Technology and support of the CEPT University Campus Office and Architects. This initiative will put forth a unique construction method for building roofs, that involves low carbon footprint. Azad Jhangra from Rohtak will share with us this unique construction method that uses the same bricks used for regular masonary walls to make near horizontal roofs without any steel and shuttering.